Maxi' or 'super' scooters, as they're sometimes called, are an increasingly popular modern phenomena - larger engined, luxury scooters that, while still easy (ish) around town and with all the practicality (if not more) of traditional scooters (being easy to ride around town, relatively clean and with plenty of luggage space) also have the virtue of being capable of motorway speeds for longer distance commuting. 'Two-wheeled cars' they're sometimes described as - and for all the right reasons. After all, what else is comfortable, takes a days worth of luggage, can carry you with half-decent weather protection, can cut through city traffic with aplomb AND cruise down the M1 at an easy 85? As a 500cc+ breed maxi scooters first started appearing around the turn of the Millennium. 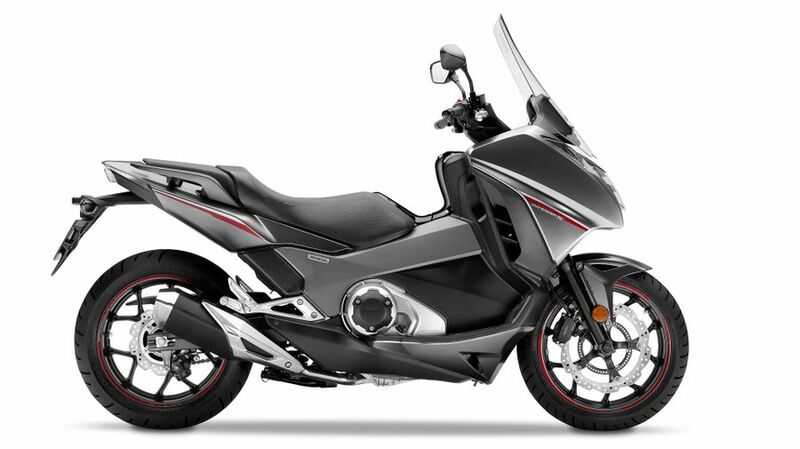 Honda had its now-deleted Silver Wing; Yamaha came up with its distinctly sporty, twin cylinder TMax and, soon after, Suzuki produced its first monster-sized, 650cc Burgman. Since then, the breed has become increasingly sophisticated, luxurious, potent - and clever. 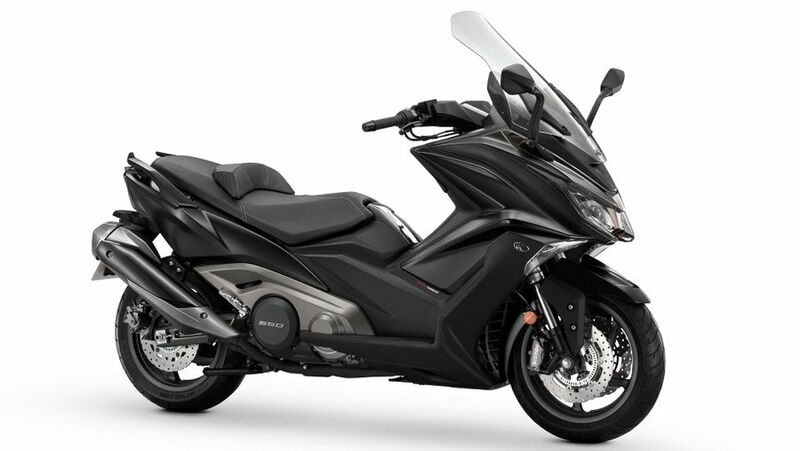 While Yamaha's latest TMAX continues to set the handling benchmark for the class and Suzuki's luxurious 'Burgervan' has as many 'bells and whistles' as most full dress tourers, Honda's latest 'Integra' boasts an innovative semi-automatic DCT transmission which is both easy and exciting and Piaggio's MP3 'leaning three-wheeler' provides both riding security and scooter practicality. Yamaha's original TMax debuted in 2001 and revolutionized scootering. As an all-new, purpose-built design with the emphasis on handling dynamics, the twin-cylinder super-scoot, in producing 40bhp, not only had impressive performance but, more importantly, by having a 'proper', motorcycle-style monoshock rear suspension system (most scooters use the drivetrain as the 'swing-arm'), rigid chassis and decent suspension and brakes, it handled far better than most maxi-scooters, too. 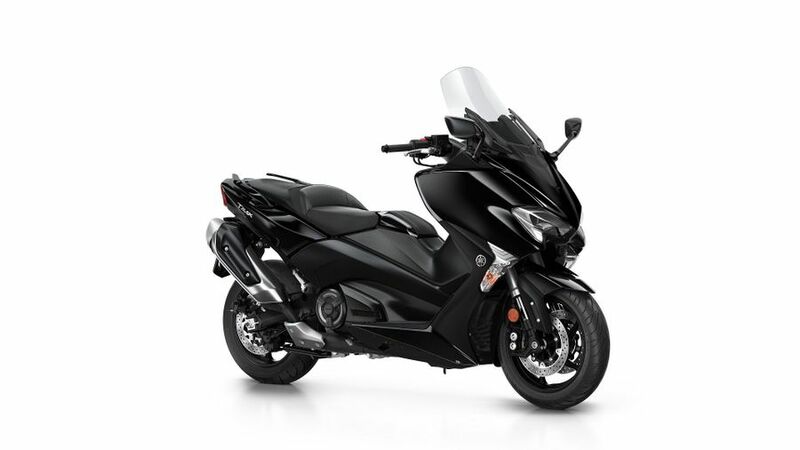 Since then, through numerous evolutions (it's now 535cc producing 45bhp) the latest being 2017 when it got a slick TFT screen, keyless ignition and traction control, among other features, the TMAX has cemented its reputation as the cultured, 'thinking man's super-scoot.' The Yamaha might not be the cheapest, largest or most luxurious, but it's certainly one of the best. 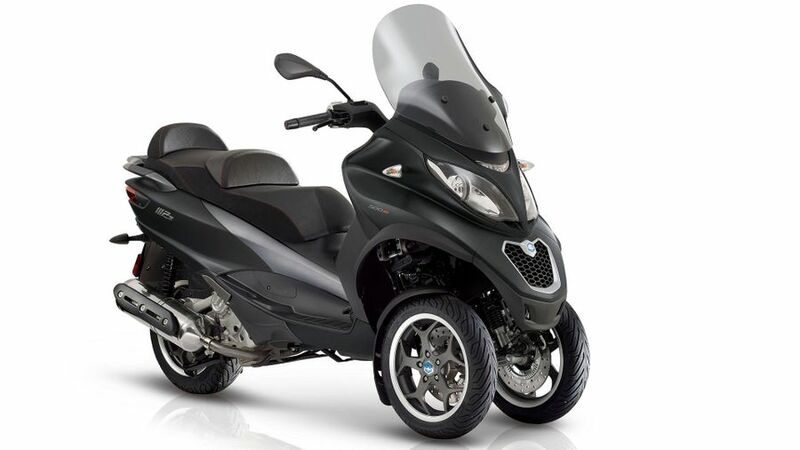 Like its Yamaha rival, Suzuki's range-topping maxi-scooter is long established, hugely respected and very popular - particularly on the Continent where super scooters are huge sellers. 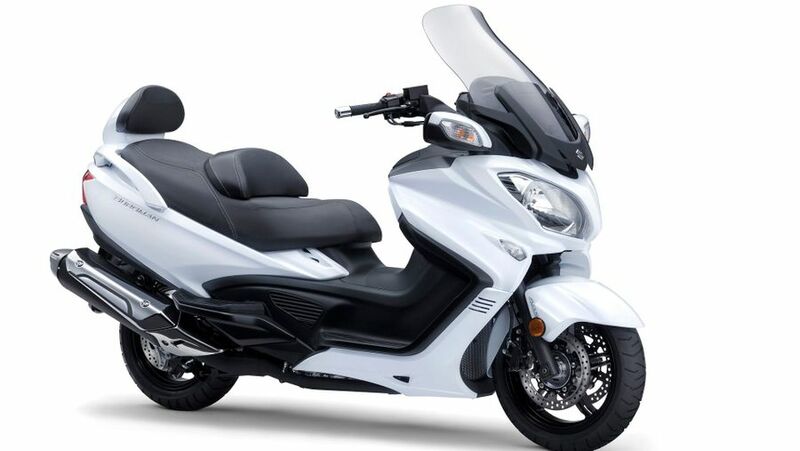 Unlike the Yamaha, the Burgman (there are also 400 and 125cc versions) prioritizes comfort and luggage capacity over performance and handling. As a result, the Suzuki's a big proposition - the biggest in the class - has one of the largest, most powerful engines (a 650cc twin producing 54bhp), masses of room plus lots of luggage space. If a roomy, comfortable motorway muncher of a scooter is what you're after, the big Burgman is for you. On the downside, the Suzuki's also a fairly hefty handful, though an OK handler is not a patch on the Yamaha and like the TMAX, is fairly fruitily priced as well. But if you want the most - this is it. The new-for-2018 AK550 is up-and-coming Taiwanese manufacturer Kymco's biggest scooter yet, its first true 'maxi-scooter' and an impressive alternative to its more established Japanese rivals. Like the TMax it's powered by a liquid-cooled, twin cylinder engine but capable of an even more impressive 53bhp and employs an aluminium chassis along with top not-suspension and, in a first on a super-scooter, superbike-style, Brembo radially-mounted brake calipers. Nor does it end there: the AK is also sharply-styled, well-equipped and finished. Performance-wise it's on a par with the Yam (the Kymco's power advantage is counteracted by extra weight) although its ride and delivery isn't quite as refined. But at £900 less it's still a tempting proposition. 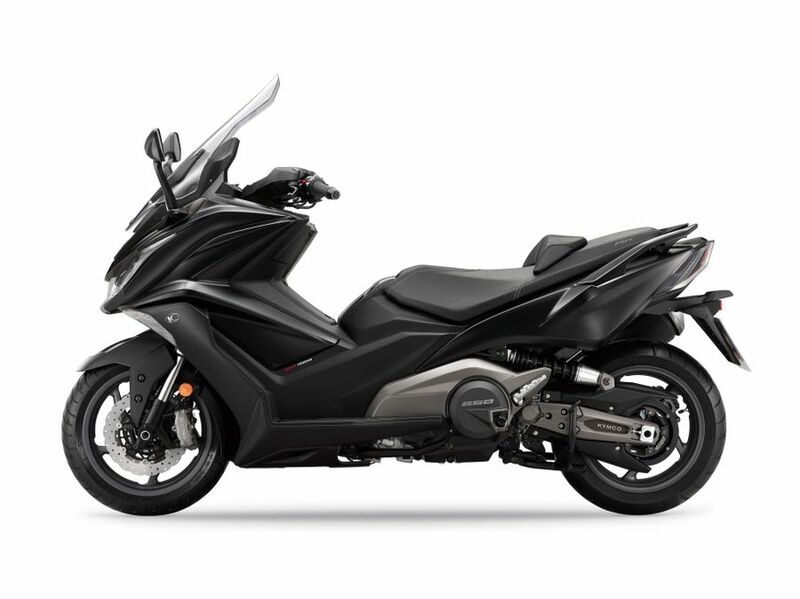 Honda prides itself on its technical innovation so it's no surprise that when it comes to maxi scooters, as with many of its motorcycles, Big H does things slightly differently. The Integra was introduced in 2012 alongside its NC700S and NC700X motorcycles and shares their novel platform of low-revving, Honda Jazz car-derived twin cylinder engine; clever, switchable semi-automatic, dual clutch 'DCT' transmission and bike-style twin spar chassis complete with also bike-style 17-inch wheels. While still featuring many scooter virtues of comfort and convenience, the result is a bike/scooter hybrid that's a doddle to ride, brisk and handles far better than most scoots. On the downside, luggage capacity isn't great and the Integra's not cheap, either - but you can't deny its effective dynamics. Italian scooter giant Piaggio introduced the first of its novel, leaning, 3-wheeled scooters in 2006 and they've proved so successful and popular its since evolved into a whole family of machines topped by this latest, maxi version, the MP3 400. Although 'only' powered by a 40bhp single compared to the 50+ bhp twins of some rivals, the MP3's trump card is its twin-wheel front end, which provides extra security and reassurance - particularly in the wet. In short: it's virtually impossible to fall off an MP3. On top of that there's the usual super scoot size, luxury and comfort. The MP3 might not have the nimble dynamics of the TMAX or the sheer brute grunt of the Burgman but if the style appeals it's got an awful lot going for it.